Moneylife (ML): On infrastructure, land acquisition had come to a halt all over the country after the special economic zone (SEZ) related excesses. Where do you see India going if there are no new cities being built with new infrastructure? Do you see any thinking on this issue at a time when riots are breaking out over ownership of cities—like in Hyderabad? 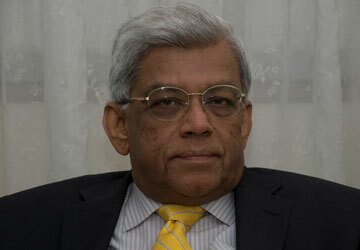 Deepak Parekh (DP): McKinsey has done a study, which says that 400 million people are going to move into cities in the coming years. Where are they going to stay? Where are they going to work? How are they going to travel? It is a frightening number. But there is no discussion on this, because land is a big stumbling block in India for all infrastructure projects—roads, power or steel plants, not necessarily for housing. We must have clarity on what is agricultural and what is not agricultural land and how to convert agricultural land into non-agricultural land, how to acquire land for infrastructure and pay market prices for that acquisition. Don’t save money and forcibly take away land from someone, because then he goes to court and your project gets stalled. We don’t want to force people to give up land or to convert land. What happened in the east with the Nano project or at Singur was that the payment was not made to the poor farmers. The land accumulators/aggregators had already bought pockets of land in anticipation of this and they were all staying in Delhi and Kolkata in posh localities. The poor farmers had been paid a paltry sum, so the benefit was going to someone else—the middlemen—and not to the actual farmer. ML: Is it the same everywhere, or do you think things are better in places like Gujarat? DP: It is the same everywhere. The problem in Gujarat is less because there is a better development agenda and more fairness in the system. The tone has to come from the top. Every system is equally bad but if the top person is committed and passionate about growth and development and investment in his state then things work better. For instance, I read somewhere that after trying for years to put up a project in the east, LN Mittal says that he wants to put up a project in Karnataka or Gujarat. A steel plant would have come up in the time he waited for land. Posco is another example. A $10-billion project—the single largest investment, but what a sad state of affairs. The state government is saying, I will give you the mines, I will give you the land for the plant but there is no road or railway between them or at the ports and I don’t have the money to build them. You have to build it yourself. Now why would anyone build that? Land acquisition in Posco's case was less of a problem. In the Tata Steel case, land is a big problem in Orissa. Tata Steel is waiting for so many years and has even ordered some equipment for the plant. As for the SEZs, they are now a thing of the past. Someone must do a survey on what kind of money has been lost by industrialists on the SEZs that are unlikely to come up.